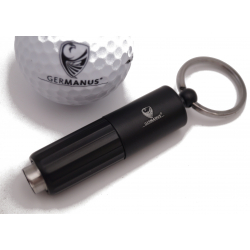 GERMANUS Quality products from our own trademark. The Philipp Pietsch Quality. 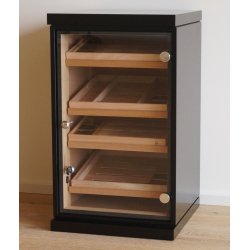 Cigar Humidors for storage of your cigars. 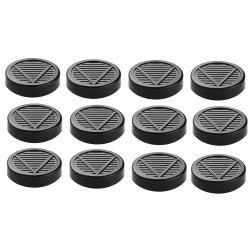 We're manufacturer with our own product lines. 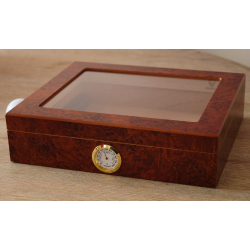 We specialise in Humidifying Systems for Cigar Humidors. 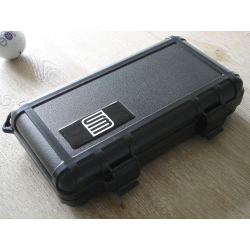 Own solutions, assembled in Germany. with GERMANUS Acyrlpolymer Humidifier Box and Hgyrometer in the Front Window, for ca. 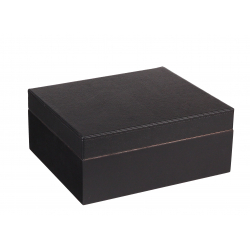 1200 Cigars Including exclusive detailed personal instructions manual in written form and video in addition to the regular information, which is included in delivery. My instructions video has proven successfully for years. 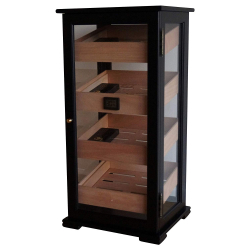 Humidor cabinet. 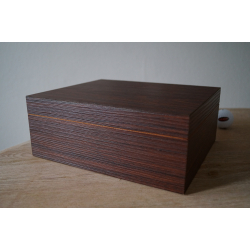 Lined inside with Spanish cedar. With plenty of space for whole boxes of cigars. 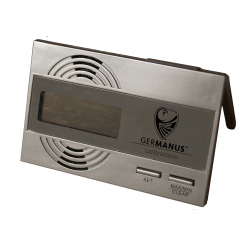 With high-quality lock as well as hinges, real glass pane and GERMANUS humidifier. 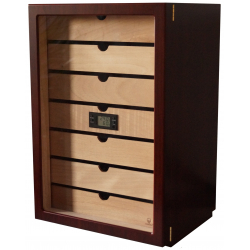 A popular Cigar Humidor lined with Spanish Cedar Wood with Hygrometer and GERMANUS Crystal Humidifiers for ca. 50 Cigars and our GERMANUS instructions booklet. 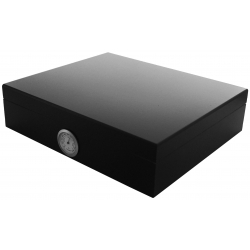 The lid of the humidor is covered with genuine leather. 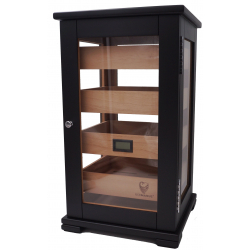 Humidor Cabinet with drawers according to the smoker's preferences, with digital hygrometer, wooden dividers and windows. 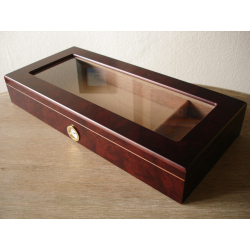 Spanish Cedar Wood Humidor with GERMANUS Crystal Humidifier and Hygrometer for ca. 50 Cigars. 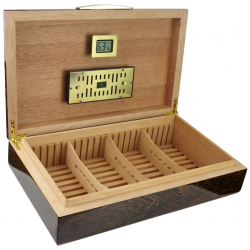 This Humidor is of great quality and well crafted. 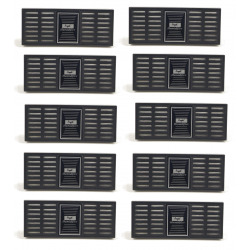 GERMANUS Crystal Set for Humidor-Humidifier with extra Coarse granularity included Including exclusive detailed personal instructions manual in written form and video in addition to the regular information. Calibratable Humifor hygrometer. best in ECCJ Test. 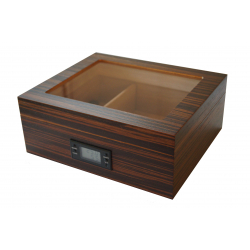 GERMANUS Trademark Humidor. 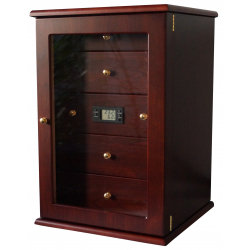 Spanish Cedar Wood Humidor with GERMANUS Crystal Humidifier & Digital Hygrometer for ca. 100 Cigars The model is offered by us as an action item. 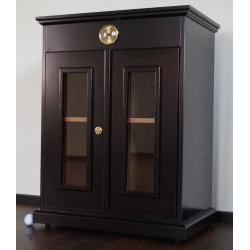 High gloss finish, extra thick body, complete with Cedro at an incredible price. Only while supplies last. 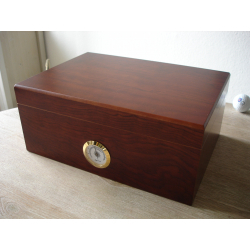 GERMANUS Trademark Humidor. 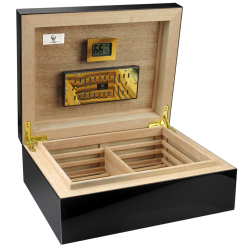 Spanish Cedar Wood Humidor with GERMANUS Crystal Humidifier & Digital Hygrometer for ca. 100 Cigars Including exclusive detailed personal instructions manual in written form and video in addition to the regular information. My instructions video has proven successfully for years. 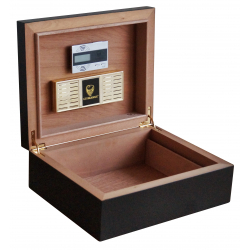 Cigar Humidor lined with Spanish Cedar Wood with Digital Hygrometer and GERMANUS Crystal Humidifiers for ca. 50 Cigars and our GERMANUS instructions booklet. 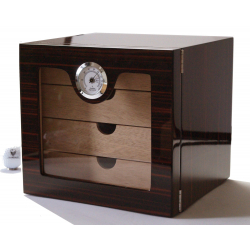 Spanish Cedar Wood Humidor with GERMANUS Humidifier and Hygrometer for ca. 50 CIGARS. 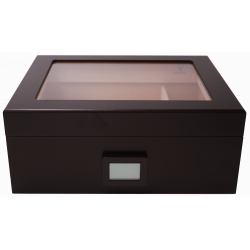 GERMANUS Crystal Set for Humidor-Humidifier with extra coarse granularity Including exclusive detailed personal instructions manual in written form and video in addition to the regular information, which is included in delivery.